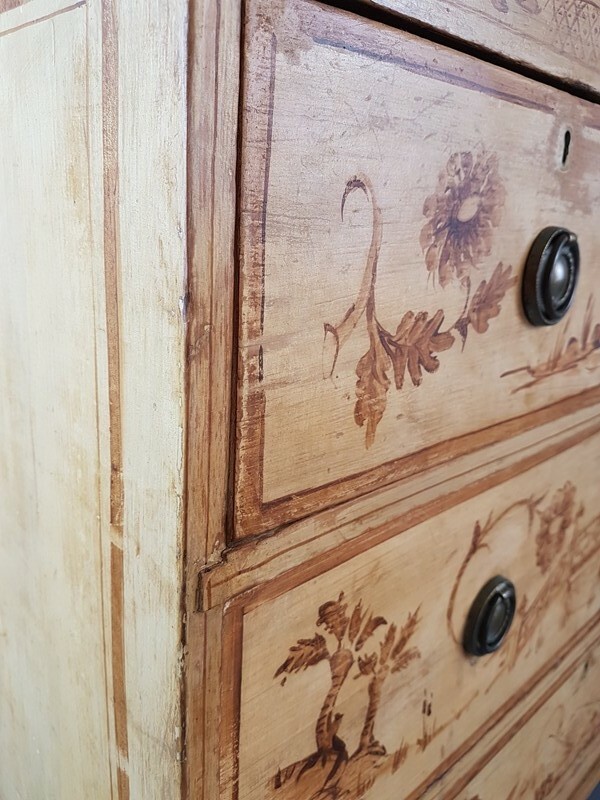 A very nice 19thC pine chest of drawers with a 2 over 2 configuration.It has the original paint finish as a base coat to the later refinished chinoiserie decoration. 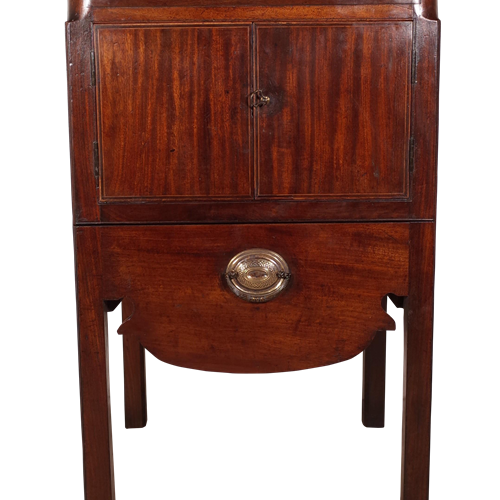 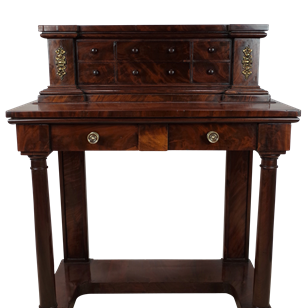 All drawers work well and is a very nicely presented chest with a great presence. 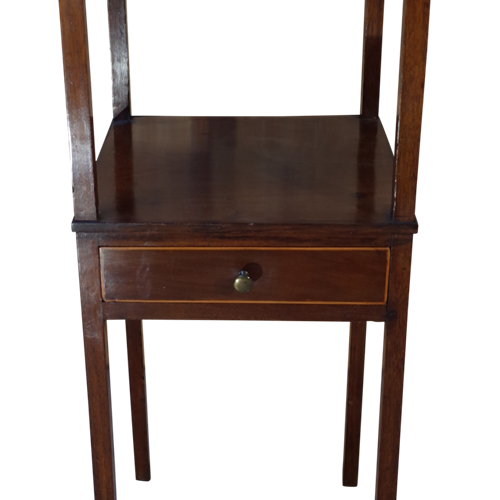 Measures 86.5cm wide by 46cm deep and 86.5cm tall.